It's hard enough to find a good job in a thriving economy, let alone in a weak economy. If you're an avid news watcher you may have come to the conclusion that looking for a job during the recession is almost futile. Notwithstanding all the negative hype, there are jobs to be found. The key to landing a job is to be informed and work strategically. Informed? Yes informed. Bet you didn't realize that there are a large number of jobs that have been created and are still being created from the stimulus package. All jokes aside, the stimulus package is pumping money into the economy. Even though you may not be a large bank ready to collapse (i.e. Citibank, AIG, etc.) you can still take advantage of the stimulus package if you know where to look. USAjobs.gov is a great job resource website, but it has a limited list of jobs, including federal jobs. On the home page of USAjobs.gov you can find a link to American Recovery and Reinvestment jobs. But there is an even better place to find jobs being created by the stimulus package. Recovery.gov is the official U.S. government stimulus package websites -- this is where you'll find many available jobs. Recovery.gov isn't actually a jobs site, so don't go there expecting to encounter a traditional job site with lists of job openings that are easily searchable. You'll have to do a bit of digging. On Recovery.gov you'll find the names of new projects that are being funded by the Recovery Act. Along with each project listing you can find the names of the companies responsible for each project. These companies are hiring new employees to support each project. In addition to federal websites, there are state recovery websites that list local projects being funded by government and stimulus money. There is a hidden workforce estimated at 10.5 million U.S. citizens employed as contractors and subcontractors to the federal government that will continue to turn over, offering new job opportunities to those who stay informed. 1. Explore all the resources on the recovery site. If you see a section called "Where is the Money Going?" you should visit it. 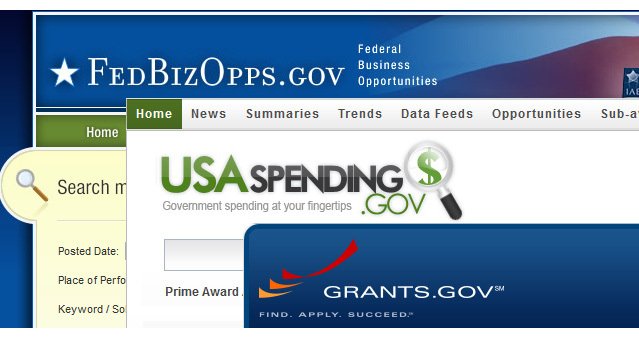 This section will typically provide you a searchable database of the federal contracts/projects awarded to your state. 2. Try to find all the different types of projects being funded. For example, in some states there are a variety of health project being funded by the U.S. government. 3. Once you've reviewed all the projects you can make a comprehensive list of the companies and projects that are likely to require employees and/or contractors. 4. Go to the websites of the companies that have been awarded government contracts or are working on stimulus projects and apply on the company's website. Indicate in the cover letter you submit that you found out about the company as well as the project they're working on by doing research at the Recover Acts grants page. This may just impress them enough to get you a job. You can now set up Google alert to notify you when the following search terms "your city(or state)" and "awarded" and "Recovery Act" come up on the radar. Every time a company in your area issues a press release announcing that they've received a stimulus award Google will email you the information. Once you find a company that's received stimulus money for a project you should apply for a position with the company on their corporate website as soon as possible. Even if you don't see positions that are related to the stimulus project or positions that are really appealing to you, you want to get your name in the general pool of potential candidates. This way, your resume will be in their system and available for searching by company recruiters and managers when they start looking for candidates to fill new or upcoming positions. One of the first steps that recruiters perform when looking to fill a new position is to search their database of current applicants -- for all jobs -- to see if they can find anyone who has the skill set and/or work experience that meets the criteria for the new position. Any one they find in their database search will be invited to apply for the new job opening. If you want to apply to general pools of jobs you can go to USAjobs.gov and click on their recovery jobs site and perform a query for jobs in your state. Once you've done this you should see requisitions for "standing registers" of applicants. Now you can apply for categories of different jobs like "engineer", "architect", "project manager", etc. You'll also want to keep you resume and profile as fresh as possible in recruiting databases. Recruiters looking for potential job candidates can actually lookup in their applicant tracking systems the date on which a given candidate last updated their profile. You should plan on updating your profile at least once every two weeks, if not more frequently. It doesn't matter if you just make simple alterations to your profile, it's just important that it's updated so that the recruiters applicant tracking systems show that your profile has been updated regularly. We also highly recommend that you set up a job alert in the careers section for every company that you're interested in working for. This way you'll be emailed every time a new job is listed. An added benefit of setting up job alerts is that some company recruiters think highly of candidates who've expressed continue interest in working for a company by signing up for company job alerts. HOWEVER, don't apply to every job that is emailed to you as this will likely have a negative effect on your candidacy. Only apply for jobs that you're truly interested in and more importantly you're qualified for. If you apply for too many jobs you won't be taken seriously and you'll destroy your opportunity to work for the company. Does this sound like a lot of work? Well it is a little bit of work, but it's work that's very worthwhile if you want to land a job -- especially in a struggling economy.